Our highly trained vascular surgeons perform surgeries on the blood vessels in the body usually to prevent or relieve either blockage, bleeding, or poor blood flow. Our physicians have the vascular education and patient care qualities necessary for a successful surgery. It is important to remain confident in the person who is going to be operating on you – that is why we want our patients to be as comfortable with this as possible. Read below to see what type of procedure or surgery you may need to improve your health and well-being. It helps to get yourself familiar with the process so that you feel more confident and comfortable going into this. When the arteries in the neck, the carotids, have blockage due to plaque build up, the blood flow to the brain can be compromised. 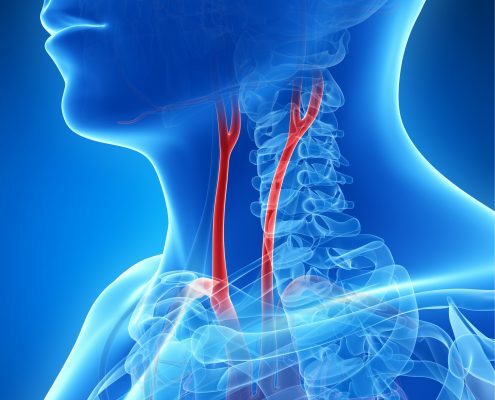 This puts a person at risk for a stroke and sometimes a surgeon will recommend removal of these blockages through a procedure called a carotid endarterectomy. In this procedure, an incision is made in the side of the neck with the effected artery. The plaque is removed from the blood vessel and the incisions closed. Arteries are blood vessels that take the blood from the heart to all other organs and tissues of the body. Sometimes arteries may become blocked by plaque (fatty deposits) and the blood cannot reach the intended organ or tissue. This is called peripheral artery disease. Treatments often include surgeries to remove the plaque or bypass the blockage. Other arteries may also have the plaque removed to prevent blockage of blood flow. Common arteries that may be repaired include arteries of the arms, legs, kidneys and intestines. Incisions are made near the arteries, the arteries are cleaned of the plaque and the arteries closed. Another type of problem with arteries is aneurysms. An aneurysm is a bulging in an area of a blood vessel (artery) where it is weak. This can be caused by an injury or by high blood pressure over a period of time. An aneurysm can occur anywhere in the body but is commonly seen in the aorta—the largest artery in the body. The aorta takes blood from the heart to all the areas in the body. As the area of the aneurysm continues to stretch, there is a risk of rupture. The size and location of an aneurysm determine how it would best be treated. Some need to be surgically repaired to prevent serious hemorrhage or death. 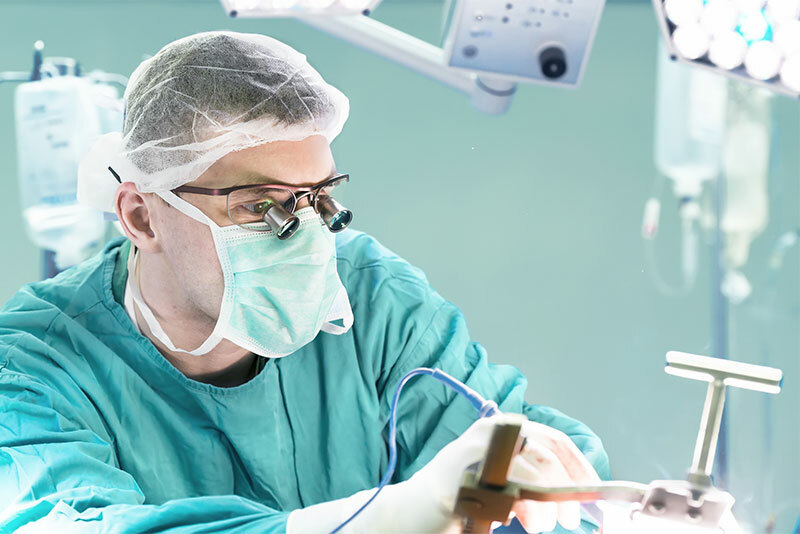 With the traditional open surgical repair, the patient is placed under general anesthesia. 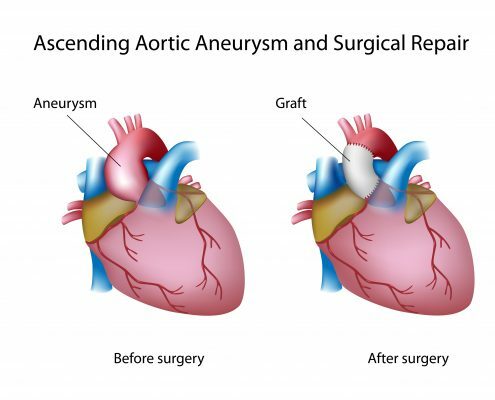 The surgeon makes an incision near the affected artery so he/she can visualize the aneurysm. (For an abdominal aneurysm, the incision is made in the abdomen or side.) Once the artery is accessed, the surgeon clamps the artery to prevent blood flow through it and removes the affected portion of artery. A synthetic graft or tube is then attached to the remaining ends of the artery to replace the diseased portion. Some patients are good candidates for our minimally invasive aneurysm repair surgery, called an endovascular aneurysm repair or EVAR. Endovascular means inside the artery. These surgeries may be performed with only light sedation and a regional anesthesia (epidural) so the patient remains awake. The surgeon makes a small incision in the groins to access the femoral (leg) arteries. Under X-ray imaging, special instruments are inserted inside the artery to perform the procedure. 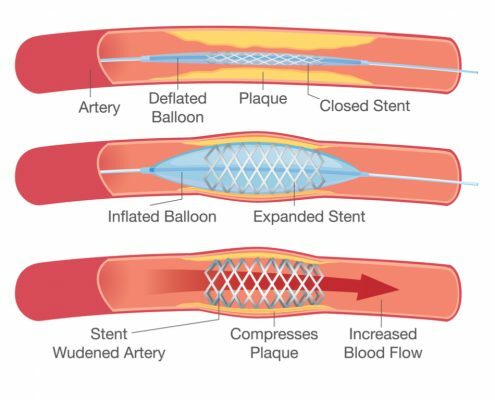 A stent-graft, or a fabric tube with an outer metallic support structure, is then placed in the artery and inserted to the site of the aneurysm. 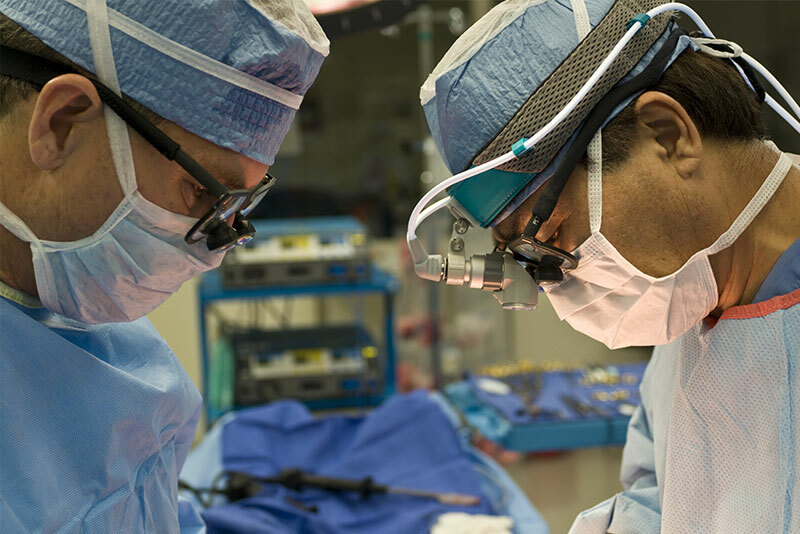 With this type of surgery, there is much shorter recovery time and patients may go home sooner from the hospital and return to work earlier as well. Your surgeon will help determine which option is the best for you. 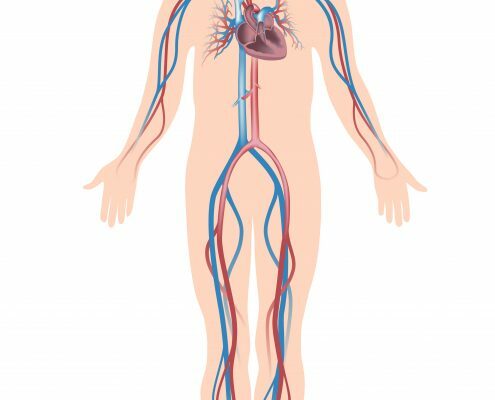 Patients who have atherosclerosis or hardening and narrowing of the arteries in their extremities may need an intervention to relieve symptoms. Symptoms include fatigue, pain, burning, numbness, tingling, swelling, and discolored skin or ulcers in the affected extremity. When medications are not effective, a surgical intervention may be needed. The first option is angioplasty. This is when a physician inserts a catheter into the artery and uses a balloon to open up the blockage. These procedures and surgeries are all offered in the good hands of our vascular surgeons in Oak Lawn and Chicago. Their goal is to make sure that every patient is fully aware of their options, as well as helping you make the best decisions throughout this process. It is not an easy decision to make, but that is why we are here to help you along the way. You can call with questions, make an appointment, and read about our vascular surgeons to see who exactly will be working with you. Want to read about our vascular staff that will be performing these procedures and surgeries? Click below to see who may help you improve your health and lifestyle.